We've all used or heard of shopping apps. You would've had to live under a rock if you haven't heard of Groupon for example. What many of these shopping apps have in common however is the fine print. "Two Meal Minimum", "Only good with purchases over $40", etc. Not to mention redeeming processes. Live Shopper for iOS and Android attempts to smooth over this occasionally arduous task. In this fast paced instant gratification world where every minute counts, shopping apps which promise deals should be easy as 1-2-3. We'll find out if Live Shopper lives up to the hype it promotes. All one needs to do start locating deals and discounts is sign up using your email address or social media credentials. After this, the app prompts you to tap on "Earn Rewards". Once you login, the magic happens. 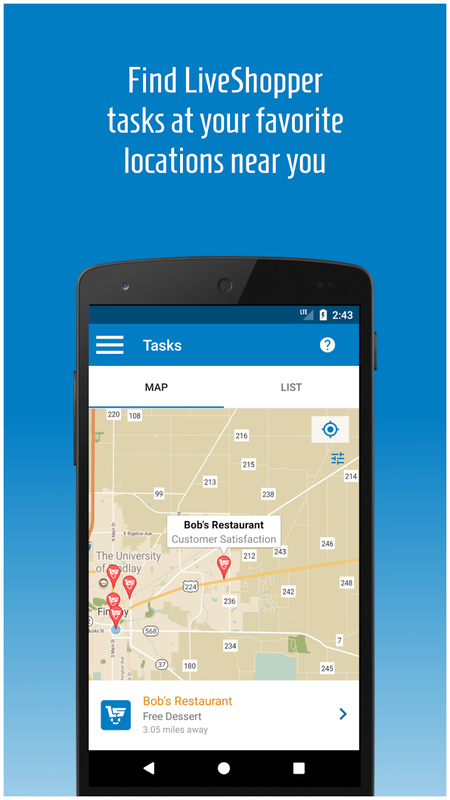 All of the places locally which have some type of reward immediately populates a map. Simply tap on one of the orange location and you can do some more research on the deal being offered. 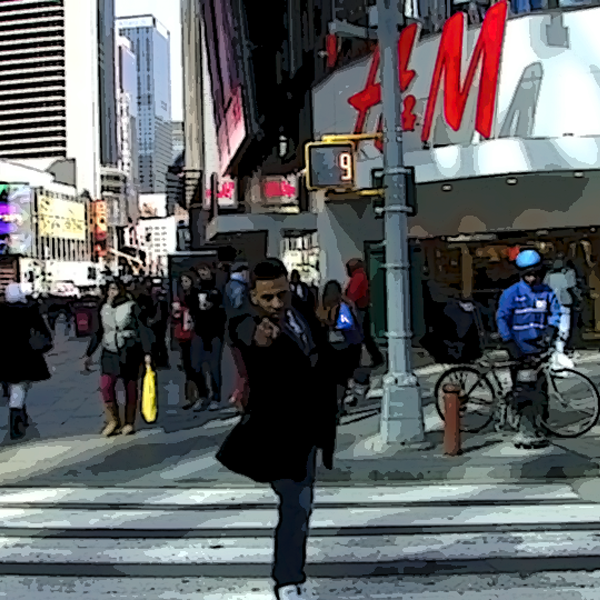 I'm in NYC, the self-identified capital of the world. I bring this up because as you'd expect, many locations pop up. If you're in a smaller town, the locations may be more sparse. 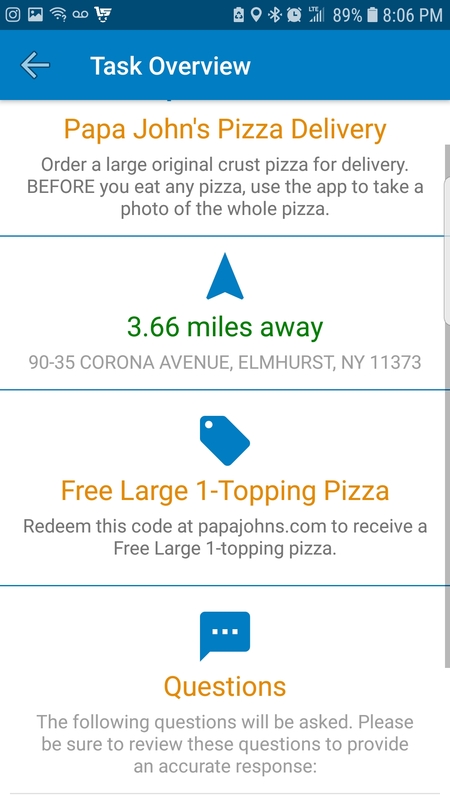 When you tap on one of the locations, the deal and what you are required to do to receive it will appear on the screen. If you're not geographically inclined, you can also have all of the locations appear as a list from closest to furthest. 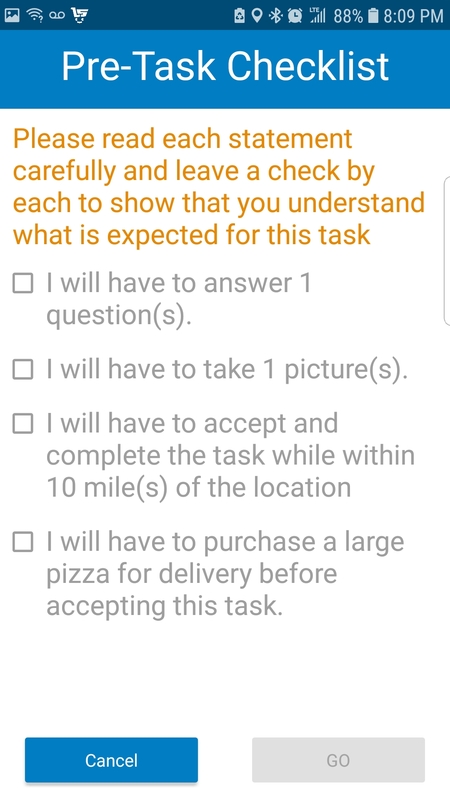 To retrieve a deal, all you need to do is complete a "task". The type of task of course depends on the establishment in question. 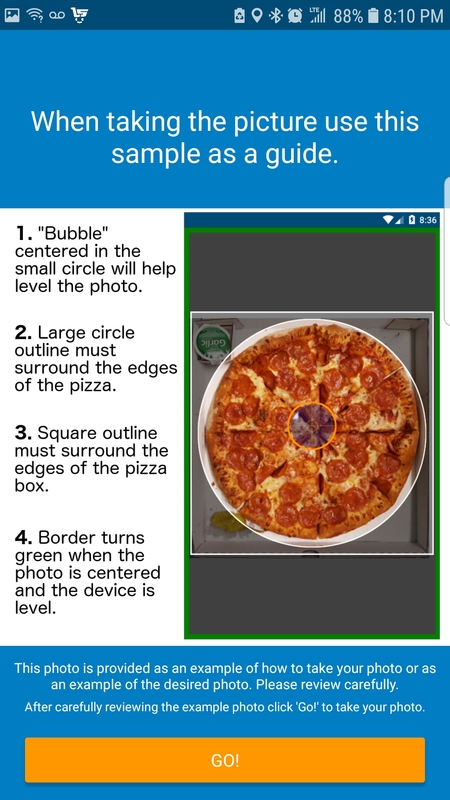 Papa John's Pizza as an example will ask you to answer a few questions and then take a picture of the pizza when you pick it up. Their deal was one free large pizza with one topping. Sweet. The actual task must be completed at the location. Of course, confirm with management. As you would expect, you have to commit to the deal once you agree to do the task. You are limited to locations within 10 miles. Fortunately, the developers of the app were thoughtful about possible trigger-finger users, so you are prompted to confirm before committing. 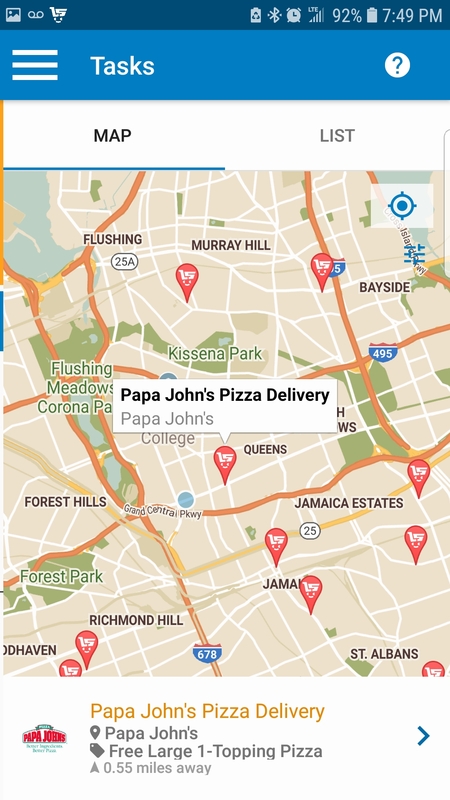 While the app had plenty of Papa Johns locations and other eateries participating, Home Depot made the list along with several convenience stores and big box stores. Deals, Discounts and Freebies are all recorded and can be reviewed easily as reminder of how many rewards you earned. Sell Apps And Keep 100% Of Your Profits! Join GiveMeApps Today! While Live Shopper is not in the same league as apps like Groupon which are well established and have a huge following, Live Shopper has potential and will pack a meatier punch once more entities sign on. As Live Shopper is extremely easy to use and doesn't require much from the end user, it certainly compliments the more established discount apps and should be another item in your savings arsenal. Live Shopper is available for Android and iOS. Like This Article? Chat About It And More In The GiveMeApps Community!